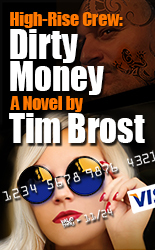 High-Rise Crew Dirty Money is a cyber crime adventure novel, the first release in the High-Rise Crew Trilogy. The nefarious black hat activities of this Chicagoland crew are sometimes humorous, occasionally frightening, always entertaining. Subject matter experts for this series are absolutely amazing. I’m truly blessed to be gaining insight from certified security experts for the Federal Reserve, military code smiths and cybercrime experts from the Secret Service. Their experiences and knowledge has freed me, as an author, to venture into territory normally out of reach. 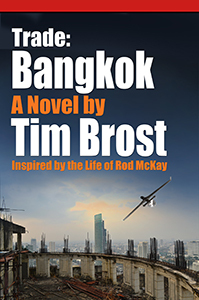 Trade Bangkok is the first novel in the Trade series. 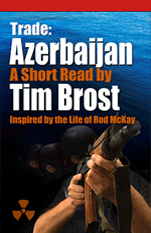 Trade is inspired by the life of subject matter expert, and international arms dealer, Rod McKay. For the past two years I’ve worked steadily with Rod, and a number of his associates, to bring you, what I have determined is an incredibly unique point of view. Very few people see the world through this lens. Set aside your expectation. The business side of war, at least insofar as I’ve observed with this team, will surprise you. Travel with the Web and his partner Patch Riggs into the heart of global conflict. I’m sure you’ll come to appreciate his team and the challenges they must overcome at every turn of the page. Trade Azerbaijan updates the reader on activities between Trade Bangkok and yet to be published, Trade Bishkek. Interested parties can follow links in the research section of this web site. Could there be loose nuclear material on the black market? Whole nuclear weapons were sold not that long ago. Is it possible that the most dangerous of these materials has resurfaced, and is about to be sold? Not if Web and a team of counterterrorists is successful. It is my hope that the short read format will keep the reader engaged in these characters, between novel-length publications. Start with Trade Bangkok and then move on to Azerbaijan.